Dr. Quyen Lee was born and raised in San Jose, CA. She received government assistance growing up, and that led to a love of community and a passionate desire to give back as soon as she could. She took that drive and attended the University of California, Davis where she earned a spot on the Dean’s Honor List and graduated with a Bachelor of Science Degree in Biology. She then attended the Arthur A. Dugoni Pacific School of Dentistry on a full U.S. Army scholarship. Dr. Lee graduated in 2006 with high honors, Tau Kappa Omega honor society. She served as an active duty dentist for over three years and honorably retired from active duty military service from Ft. Hood, TX in January, 2010. Dr. Lee adores going to live music concerts, and collects guitar picks from the concerts she’s attended—if she’s lucky enough to get one. Her favorite band is the American Authors. Dr. Lee also enjoys traveling, reading, running, playing badminton, and watching tv. Most of all, she enjoys spending time with her husband, two daughters and son! Is there anything else we should know about Dr. Lee? “Also, I’m in love with the tennis player Rafael Nadal,” she says, laughing. We are truly glad to have such a skilled practitioner to provide the highest dental care to our community. Dr. Lee is skilled in diverse areas of dentistry: wisdom teeth extractions, root canal treatments, restorative dentistry, pediatric dentistry, and even routine cleanings! 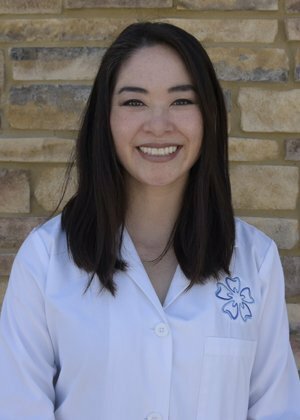 Let Dr. Quyen Lee serve you and your family today!